Red Hat has tightened integration between CloudForms, its tool for managing IT infrastructure on-premises and in the cloud, and the its Ansible framework for automating IT operations. Pete Cruz, product marketing manager for management for Red Hat, said version 4.7 of Red Hat CloudForms and Ansible together promise to make it easier to manage multiple IT environments running on-premises and in the cloud using a common set of tools. Most IT organizations today are trying to manage at least one public cloud alongside their existing IT environment. Rather than having to master a separate framework for each IT platform, IT organizations can employ multiple Red Hat tools and frameworks to unify the management of multiple clouds and their internal IT operations, said Cruz. Version 4.7 of Red Hat CloudForms now makes it possible to execute Red Hat Ansible Tower workflows directly from CloudForms deployed on-premises. Those workflows can already be extended to include multiple clouds. With this release of Red Hat CloudForms, Red Hat is continuing its effort to extend its reach into the management of networks and servers. CloudForms is now integrated with Lenovo Clarity, a set of systems management tools, and Nuage Networks’ Virtualized Services Platform (VSP). Integration with networking platforms is becoming increasingly pivotal because internal IT organizations are now being asked to be as agile as a cloud service provider, said Cruz, noting it’s not especially useful if an IT organization can spin up a virtual machine in a matter of minutes but must wait weeks as network services are provisioned manually. Red Hat is trying to lay a foundation on top of which best DevOps practices can be extended across multiple IT environments. With each additional cloud service an organization adds, the less agile the internal IT organization becomes, unless it finds a way to centrally manage all the platforms being employed using a common set of tools, noted Cruz, and the only way to effectively manage IT at that level is to rely on automation frameworks. Unfortunately, the number of organizations that are haphazardly embracing multiple clouds seems to outnumber greatly the number of organizations defining a strategy for unifying the management of hybrid clouds. 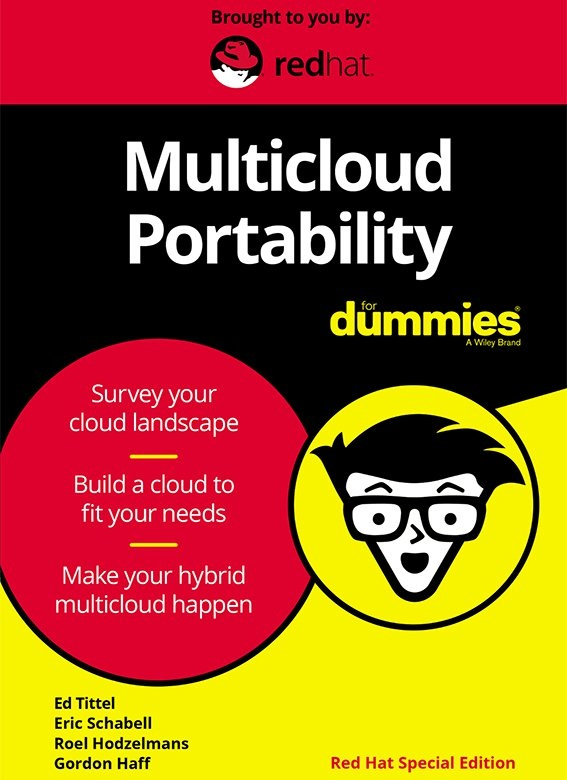 But as the operational costs of managing multiple clouds becomes more apparent, the pressure to unify the management of multiple public clouds and on-premises IT environments inevitably will rise. In the meantime, savvy IT leaders are trying to ensure their organizations don’t become overly dependent on any one cloud service provider. The deeper an IT organization dives into the management frameworks provided by cloud service providers, the more difficult it potentially becomes to move an application workload, should the need arise. It does not follow that because a workload was built on one platform it never will move off that platform. Naturally, Red Hat, which is scheduled to be acquired by IBM, is not the only vendor with an eye on the rising need to unify the management of hybrid clouds. But the one thing that is certain is that even before the deal closes, Red Hat is aligning its portfolio to specifically address that opportunity.